for one of our company's grand event..
Last year, tak sempat join the grand dinner..
Naa berjaya bawak ramai business partners..7 tables! There are 4 Diamonds yang ambik awards jugak! Here goes some of the highlights from the event..
Make up by MUA Zalina Yaakob! Dress by Radzuan Radziwill ! With my beautiful partners from syida's team..
dah kena line up at the Foyer..
for my 1st award for the night..Car Fund Award! with other Car Fund Achievers under Hanis Haizi's Team! My 2nd Award.. Double Diamond Manager! My 3rd Award..Diamond Sales Manager. sama2 naik stage to receive the awards..
my life partner and also business partner.. Right from the start, I knew I have found a great mentor and friend. She believed in me, and guided me all the way until now. 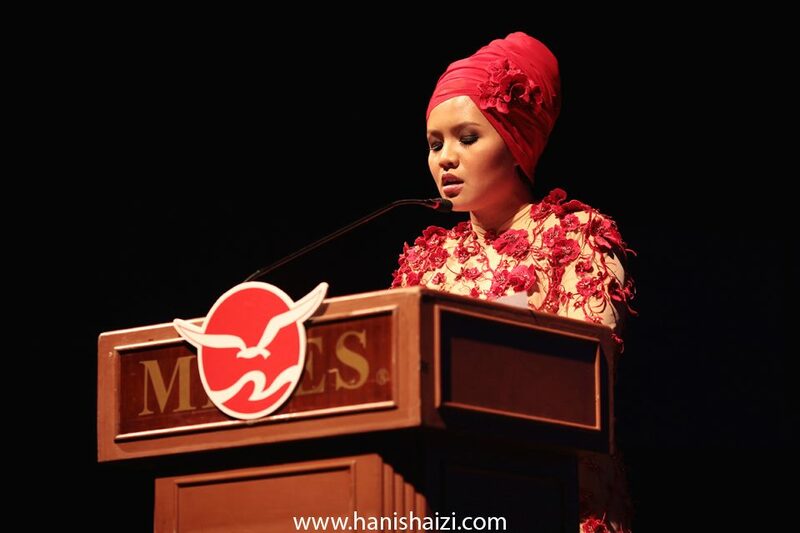 InsyaAllah, one day..Naa memang teringin nak follow her steps, terpilih as one of the speaker too! Congratulations to all Diamonds, and thank you everyone for coming. Beautiful Circles with our mentor, Hanis Haizi. with dear mentor.."I will follow every steps"..
with my cinta hati, tulang belakang terkuat! love the dress & make up....u nampak gorgeous! congrats!